RFK Jr: Money Is Why Congress Is Stalling Autism Coverup Hearings | "Global Possibilities"
Robert F. Kennedy Jr. tells Newsmax Health that money is the reason Congress is delaying hearings on accusations that the Centers for Disease Control and Prevention hid a link between the mumps, measles, and rubella (MMR) vaccine and autism.”The pharmaceutical industry is a trillion dollar industry,” Kennedy said in an exclusive interview. “There are other trillion dollar industries, but not one that spends as much on Congress as it does. “The pharmaceutical industry spends twice what the next biggest industry spends, which is oil and gas. They spend four times what defense and aeronautics spend. Rep. Posey referred to last summer’s admission by Dr. William Thompson, a senior epidemiologist at the CDC, that he helped the CDC hide data that showed giving a child the vaccine before the age of 36 months increased the risk of autism by 69 percent, and giving it to an African-American child increased the risk of autism by 240 percent. So far, Congress has refused to hold hearings. As chairman of the House Committee on Government Reform, Burton linked autism with vaccines, and in a 2002 letter to the Department of Health and Human Services, he asked the director of the FDA to recall all vaccines containing the mercury compound thimerosal. “Every day that mercury-containing vaccines remain on the market is another day HHS is putting 8,000 children at risk,” Burton said. In 2012, Burton once again called for congressional hearings into the causes of autism, including vaccines, saying the government’s response to the increase in autism was inadequate. 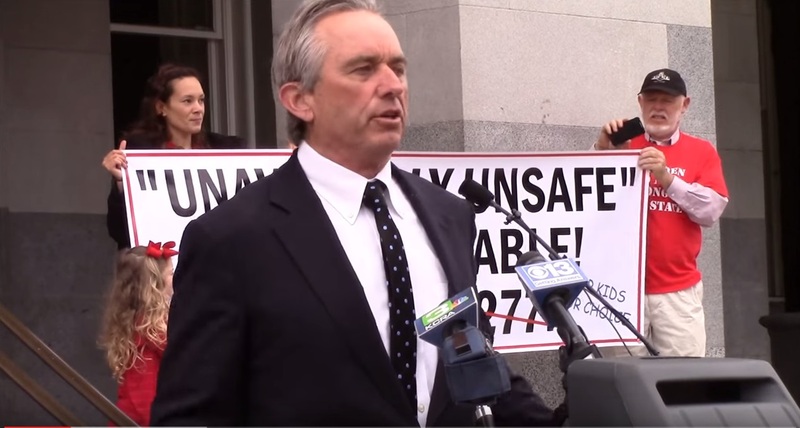 While Kennedy says he isn’t anti-vaccine, he believes it’s up to parents to protect their children from the possible consequences of being vaccinated with shots containing mercury. © 2016 NewsmaxHealth. All rights reserved.